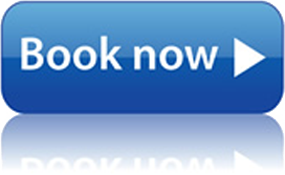 By the Bay Beachfront Apartments has three spacious fully equipped apartments and a studio. By The Bay is located right on the beachfront of Coopers Beach in the Far North of New Zealand, one of New Zealand’s iconic beaches and popular tourist location. 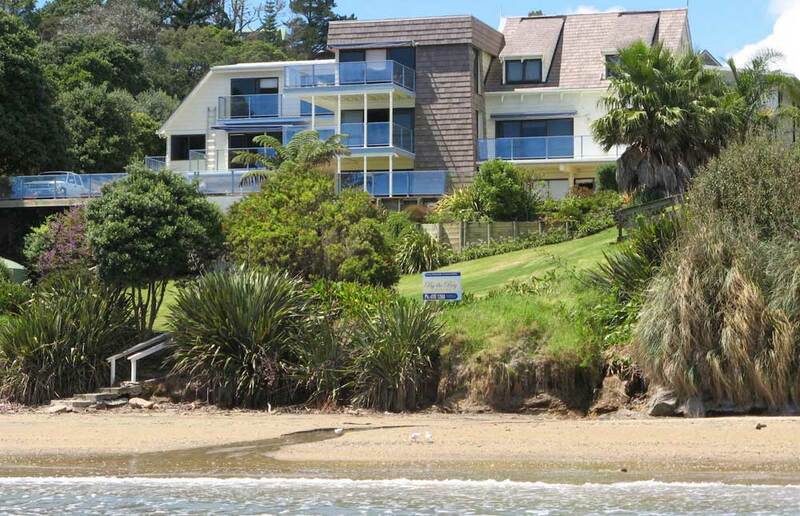 All apartments offer free Wi-Fi and private balconies with amazing views across Doubtless Bay to the Karikari peninsula. Set in beautiful grounds, the property features a spa pool, on-site parking, private access to each apartment, barbeque and use of kayaks. Each apartment has a fully equipped kitchen with oven, microwave, large refrigerator, espresso coffee machine, dishwasher, automatic washing machine and clothes dryer. The apartments have a large lounge with a dining area opening onto a deck, TV, DVD/CD player and phone. 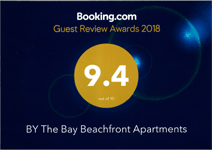 By The Bay is independently rated by Qualmark as 4 star holiday apartment accommodation. By The Bay is an ideal location for a short day trip to Cape Reinga which is 2 hrs north of Coopers Beach. Coopers Beach has a supermarket and shops while the historic village of Mangonui has several restaurants, cafes and speciality shops including the renowned Mangonui Fish Shop. Other points of interest in the locality include the Bay of Islands (1 hr south) and the historic townships of Russell, the Waitangi Treaty grounds, the heritage listed buildings at Kerikeri and Waimate North as well as the giant Kauri trees in the Puketi and Waipoua forests. There is a wide range of cultural activities and outdoor pursuits in the area which include museums and golf coures. 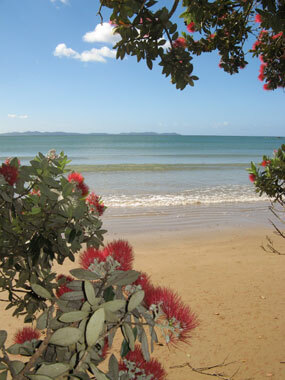 Doubtless Bay provides excellent sailing and fishing with boat launching sites at Mangonui and Taipa. The apartments are ideally suited for couples and families. Come and unwind in our spacious apartments set beside beautiful Coopers Beach and enjoy the mild sub-tropical climate of Northland.